This was the headline pasted across the CNN broadcast as I prepared to board the 16 hour New York – Lahore trek, returning to a country I've grown to love deeply but that the newscaster was condemning as the most dangerous in the world. The news of the night (and eventually the week/month) was the assassination of Governor Salmaan Taseer, a man described as an exceptional figure in Pakistani politics, an ambitious and gloriously profane man, a flamboyant and bold leader, and a martyr who was willing to put his life on the line to defend a Christian woman sentenced to death under Pakistan’s blasphemy laws. 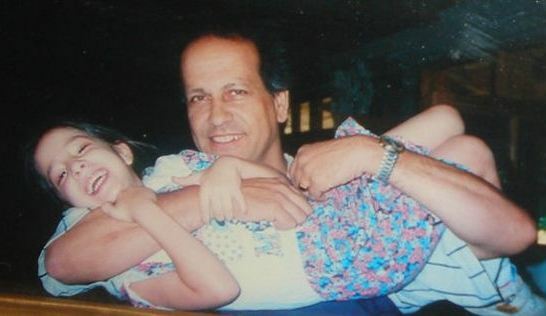 But despite the true hero Taseer was, it became clear – after landing back in PK – that a flood of opposition from the conservatives/extremists was rising, seeking to drown out his legacy and his ideals. While it’s easy to sit back and observe the rising waters as they further divide the liberals and the conservatives, I believe this is a sofa seat that we, as Americans, can no longer afford to keep warm. Afterall, if all that is necessary for the triumph of evil is that good men do nothing, then perhaps we are just as responsible as the extremists. As I read this quote yesterday, I thought about Salmaan Taseer’s life, the ultimate sacrifice he made, and wondered: what am I doing to unapologetically obviate evil from triumphing? What am I doing to defend hope from 27 more bullets of ignorance? What am I doing to live out Taseer’s dream of a militant-free Pakistan and to louden the cry of his daughter: that all those who share in the belief of Pakistan’s future honor her father’s memory and stay silent about injustice no longer. So here’s my first step at staying silent no longer: Despite how individualistic and isolated Pakistan’s problems may seem, we Americans need to realize how profoundly, intimately, and tragically we are tied to these issues. This is a strong statement, but one that is unfortunately backed by strong evidence. One thing that has become depressingly clear over the past week is that this polarization in Pakistan has been created by the local conservatives’ fears that Islam is under attack. And what makes this so personally painful is the possibility that the US is perhaps the primary perpetrator. Imran Khan, a Taaser-like super hero in Pakistan, supported this realization on CNN: when people feel this is not a war against the militant terrorists, but actually a war against Islam itself – which is the general perception amongst the masses – then there are a lot of people that are willing to defend the religion. He goes on to make an extremely important, yet most often underrated, point: If the terrorists are perceived as terrorists, than you are winning the war. But, if they are perceived as freedom fighters who are protecting Islam, than you are losing the war. From a policy and military perspective, there are profound implications to this statement, and I plan to write about those in my next post. But perhaps more importantly, there are also profound implications for you and for me – as global citizens, or even just human beings – and we cannot afford to ignore them. As Khan points out, fighting terrorism is to win the hearts and minds of people, and by allowing the people in Pakistan to believe that this is a war on Islam, we are losing both. US Vice President Biden – who visited Pakistan last week – gave a speech in Islamabad claiming that America is not attacking Islam, but that we embrace those that practice this great religion. These are important words and a critical message coming from our country, however, the people of Pakistan need them to be more than just words. They need us to carefully and critically analyze if our actions mirror this belief, or if these words have merely just become a sound bite, a Twitter post, a Facebook status. Does the way we personally approach issues such as the mosque at Ground Zero or the Quran burning in Florida indicate that we embrace those that practice Islam? What about how we look at someone in the airport or interact with people at work or at the store? What about the stories we tell to our family, the jokes we tell to our friends, or even the ideas we allow ourselves to think? And perhaps most importantly, what do we say to the millions who don’t believe in this idea, who naively still think Islam is the enemy? We need to realize the sweeping and draconian damage that discrimination towards Muslims creates in our country, that each and every actions has ubiquitous consequences and that we cannot continue to ostracize this community, allow others to ostracize this community, or send the global message that Islam is the enemy of America. This realization begins at a personal level, and it starts with me and it starts with you. Yes, it's easy to point at the seemingly never ending list of issues that Pakistan needs to sort out internally, but we have to play our part first. Instead of giving life to the very idea of religious intolerance that Taseer gave his life fighting, let’s work together to overcome evil by interrupting oppression wherever it’s found and by staying silent no longer.